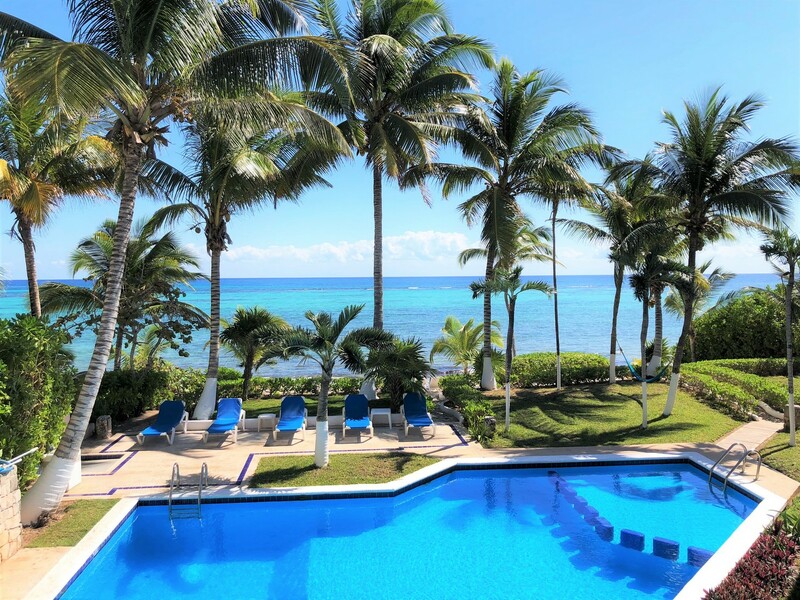 Located just two and half miles south of Akumal proper, South Akumal is a quiet gated community with lovely soft sand beach. 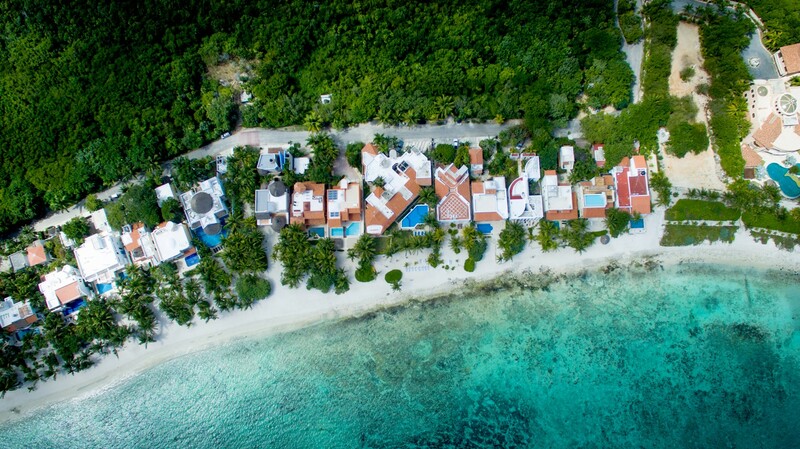 Here you will find a handful of private villas and one small condominium property, Seven Seas. 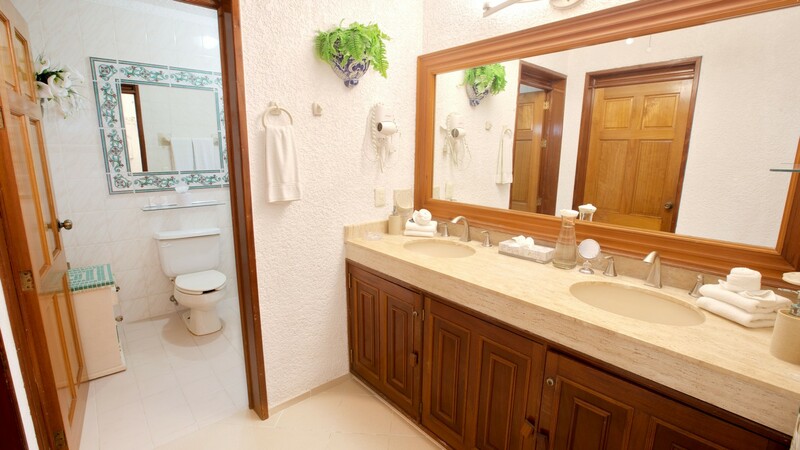 Seven Seas is an excellent choice for visitors hoping to enjoy the rich natural beauty of the Riviera Maya in lovely well appointed accommodations. The beach here is soft and great for swimming and snorkeling. The large pool on the beach side of the property is great for cooling off. 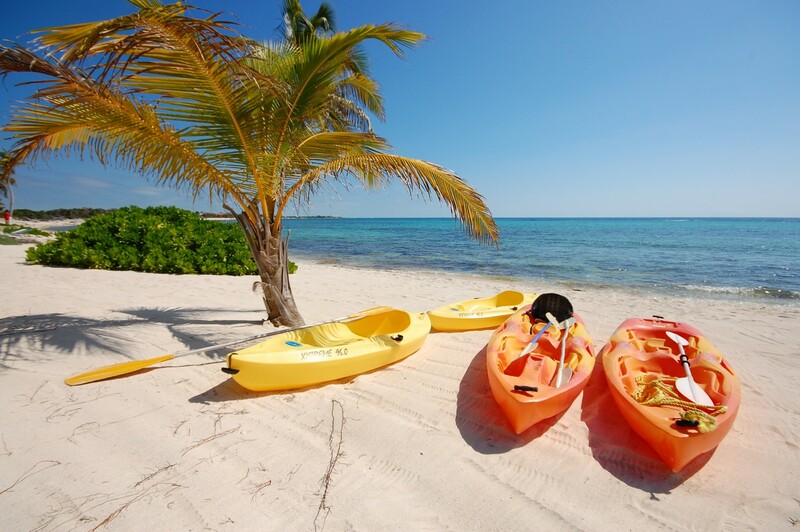 Shade palapas, sea kayaks and great snorkeling make this a perfect place to relax and enjoy the setting. 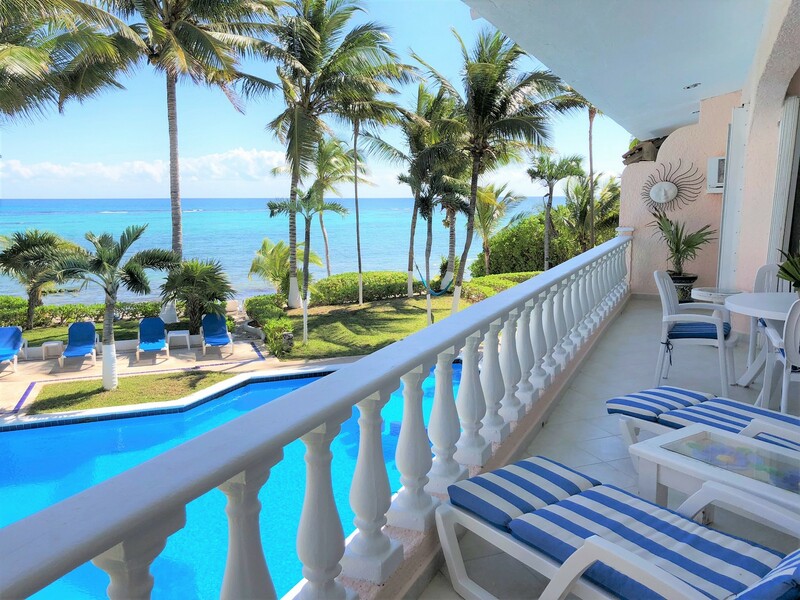 This lovely beach front complex of 5 available condos is situated on a gated residential street of elegant villas. 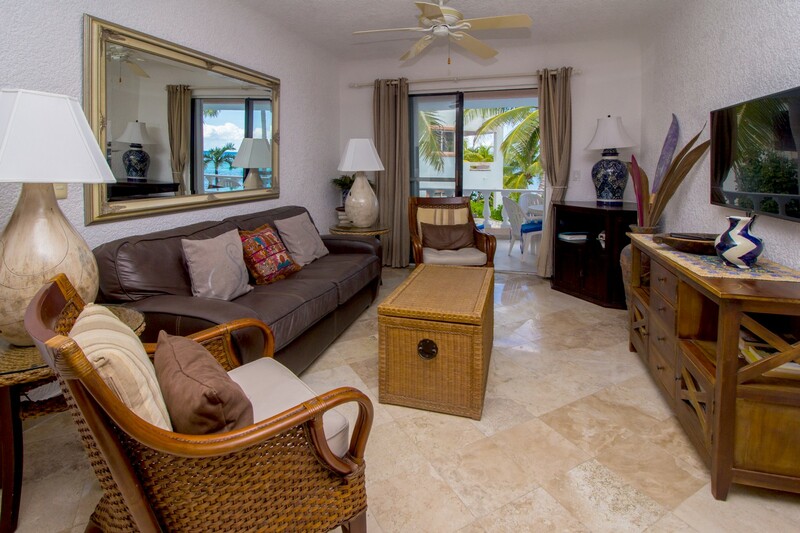 Seven Seas #5 has two bedrooms and two baths with spacious glass walled showers and separated dressing and primping areas. 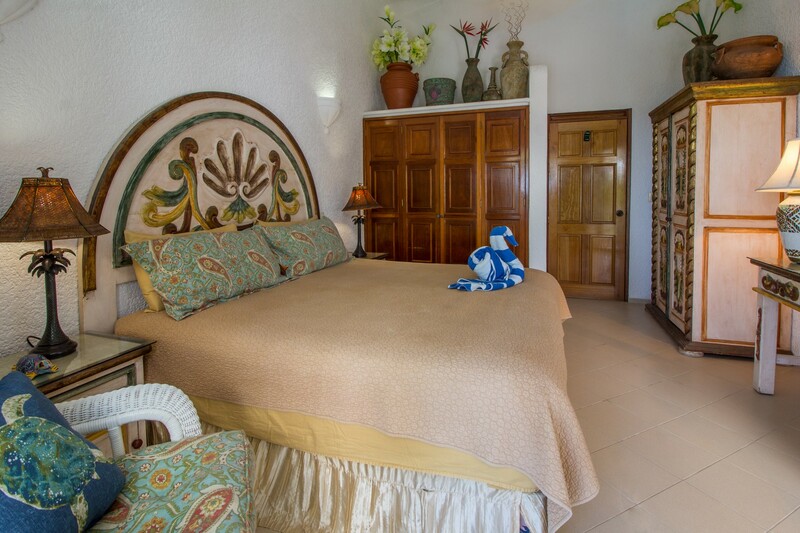 In unit #5, the master bedroom has a King bed and the guest bedroom has 2 Twin beds which can be made into a King. AC in bedrooms only. There is also a queen size inflatable air bed available for US$25/night to accommodate a 5th guest. 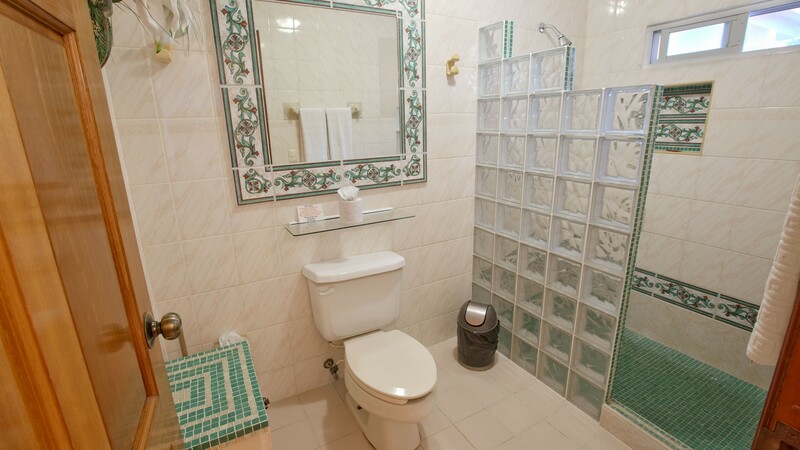 Hair dryers are installed in two baths and ceiling fans in all bath and dressing areas plus all other rooms. The fully equipped kitchen (microwave, toaster oven, blender, coffee maker, cold water coolers, etc,) is ready if you wish to prepare meals. 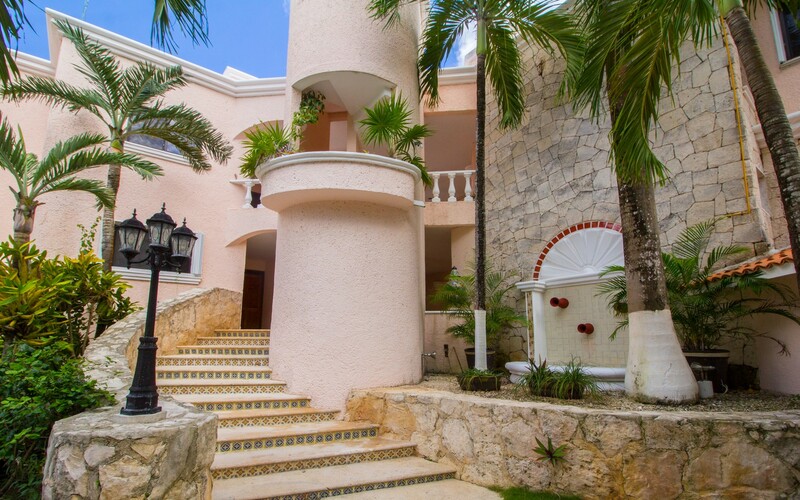 The advantage of second floor living is in the wonderful view, breeze, privacy and security. Unit #5 has a view overlooking the pool onto the beach and bay. Separate bedroom air conditioners allow for individual comfort levels. 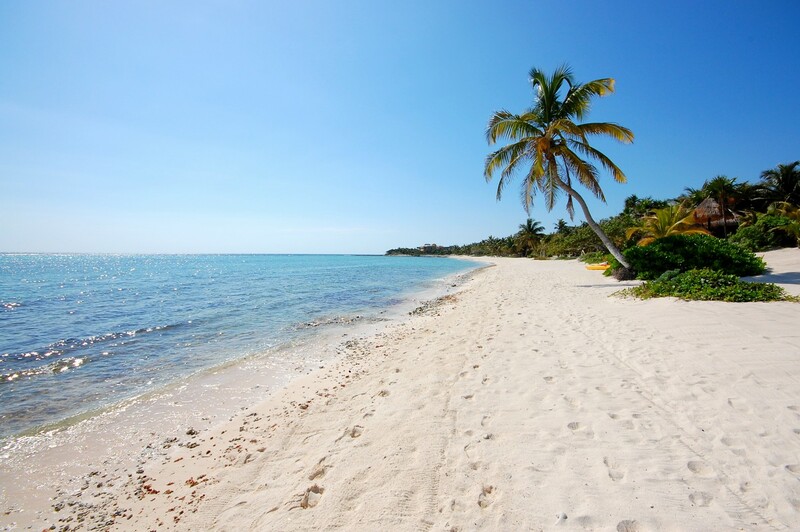 The tranquil bay has excellent snorkeling and beach combing. Two double and two single kayaks are provided for the paddling adventurers. Max. 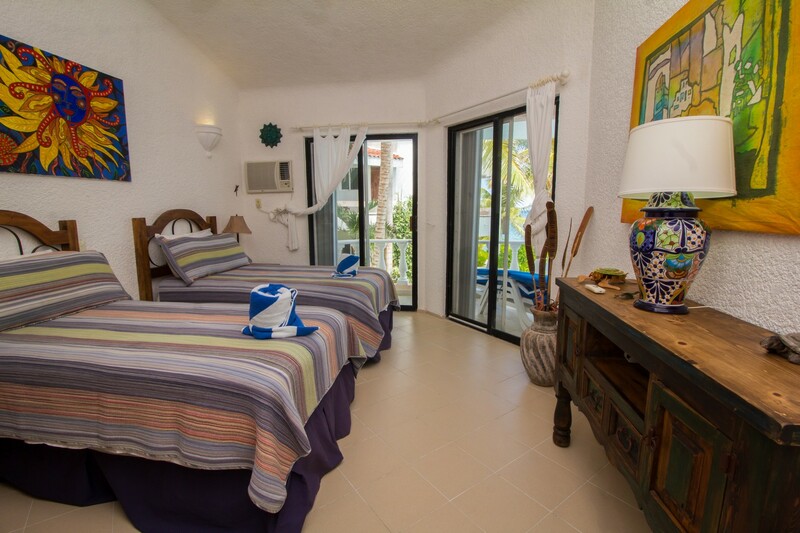 Occupancy 5 Guests (Couples Rate Max. Occupancy: 2 using one bedroom only). 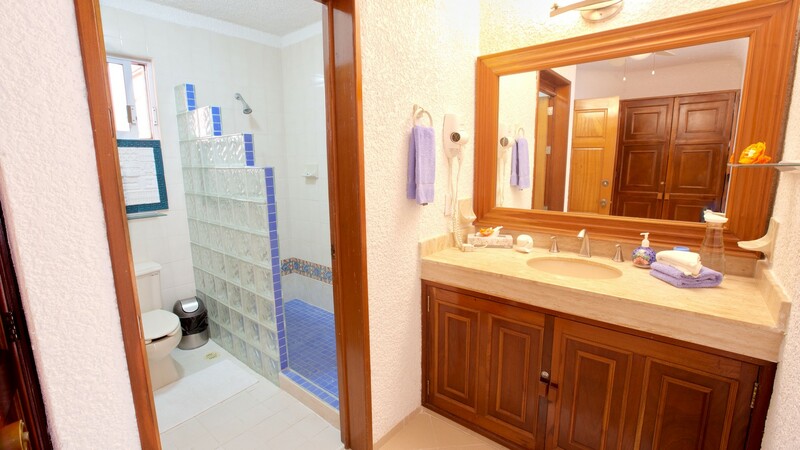 Additional 5th person US$25 per night. Queen Sized 20"high air mattress available on request. Loved this unit at Seven Seas. 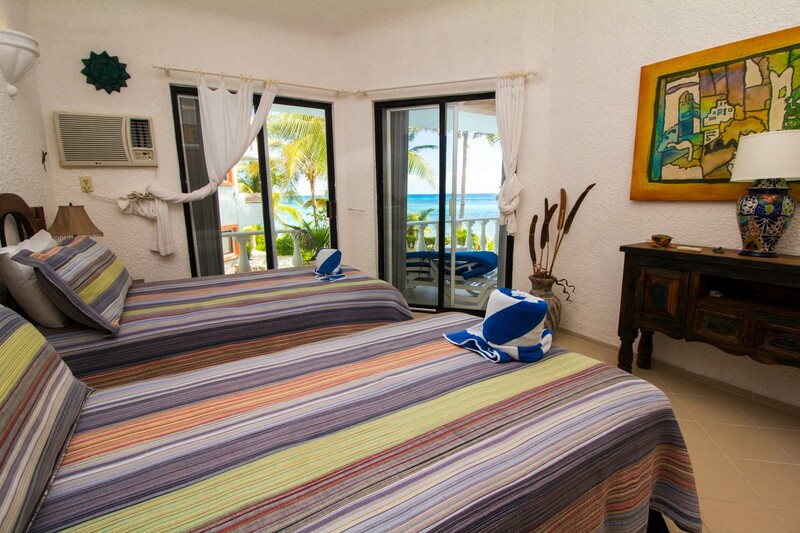 Steps from the beach with a large ocean-view balcony, Seven Seas felt like home from the minute I stepped inside. 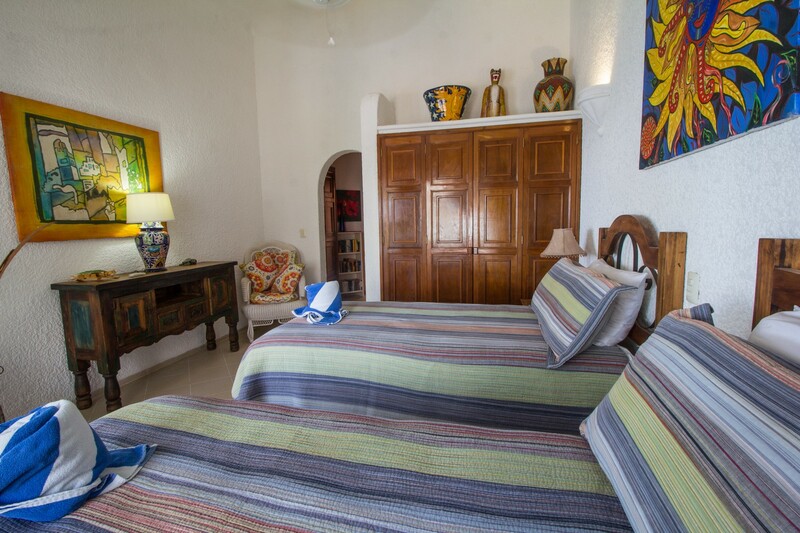 The bedrooms were spacious, the beds comfortable; the beach was wonderful and I loved the downstairs pool, too. Brand new kitchen, well-equipped. Lovely dining room and living room. Miguel the property manager is charming, friendly and accommodating--such a pleasure to meet him and his staff! Seven seas is a piece of paradise! Clean, gorgeous, safe. Simply perfect! Miguel and his staff are very pleasant and efficient. We had a wonderful week in Akumal. The location was my favorite part of the Seven Seas Condos. The view from our balcony was amazing. 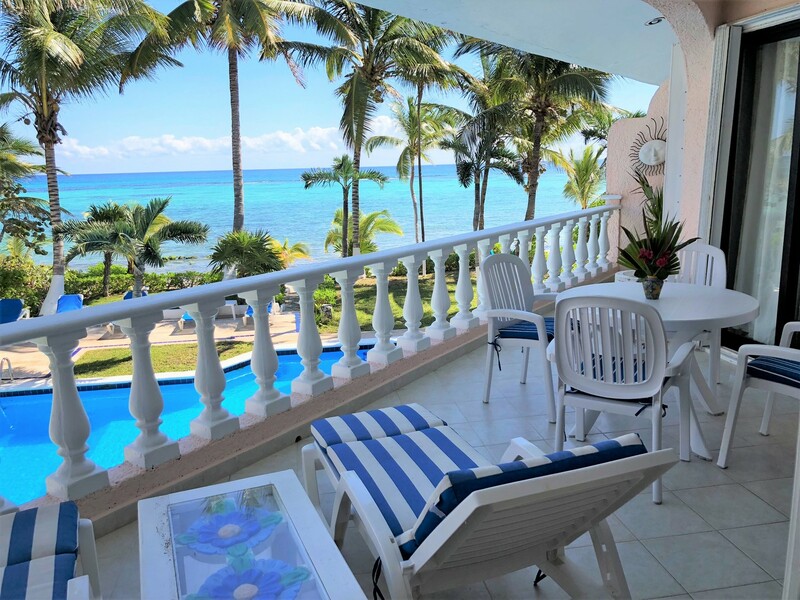 The palm trees in the foreground and the beautiful blue of the ocean, right out our patio doors. We went to sleep and woke up with the sound of the ocean. My husband and I don't really care for big crowds. The pool was never packed and noisy, so that was great for us. After a busy week of sightseeing, we laid on the lounge chairs on the beach the last day and just enjoyed the weather, water, our friends, and the great atmosphere. The grounds are very well maintained. Miguel was very helpful. We had a problem with our ceiling fan. He told the maintenance person and he fixed it right away! 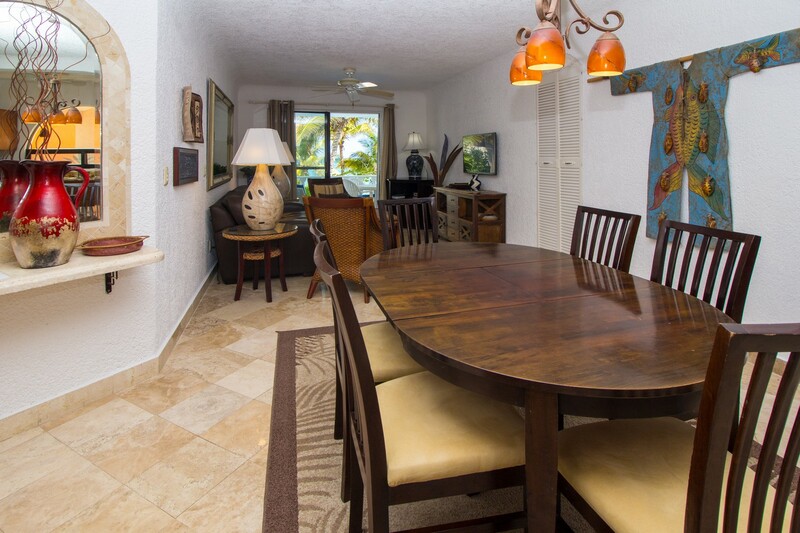 This is a quality condo, furnished with care and style and well maintained. The view from the large upper level balcony is spectacular. Many days we found it much more inviting to lounge there, walk the beach and lie by the pool than to explore Akumal's many interesting attractions. 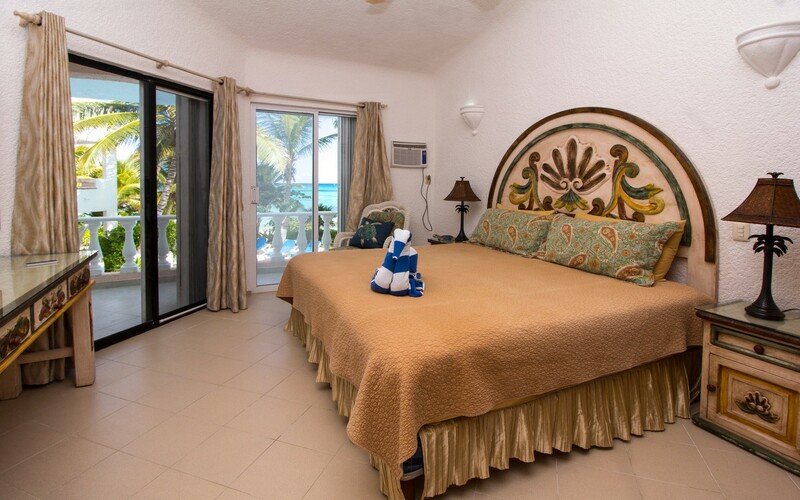 The condo is well furnished and both spacious bedrooms open onto the balcony. 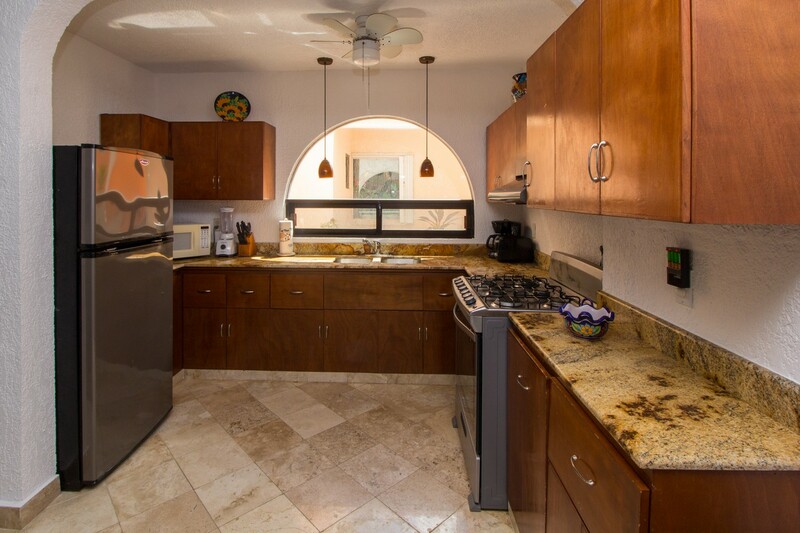 The kitchen has new appliances and granite countertop with ample cookware and utensils. The owners also provide a great restaurant list for those who don't want to cook. We loved the whole ambience of the condo and its well maintained grounds. There wasn't anything I didn't like. Good Internet is a plus.